Advocate photo by ZACH BRIEN -- Players huddle up at the end of practice. : Thursday, April 16, 2015. Advocate photo by ZACH BRIEN -- Players on the U13 do the line drill at practice at Avenger Field. In the drill: Tuesday, March 24, 2015. Advocate photo by ZACH BRIEN -- Players on the U-15 and high school team do the one on one drill at practice at Avenger field. : Thursday, April 16, 2015. Advocate photo by ZACH BRIEN -- Coach Doug Mills addresses the team before practice at avenger field. : Thursday, April 16, 2015. Lacrosse “taking off” at New Orleans’ Carrollton Boosters playground. 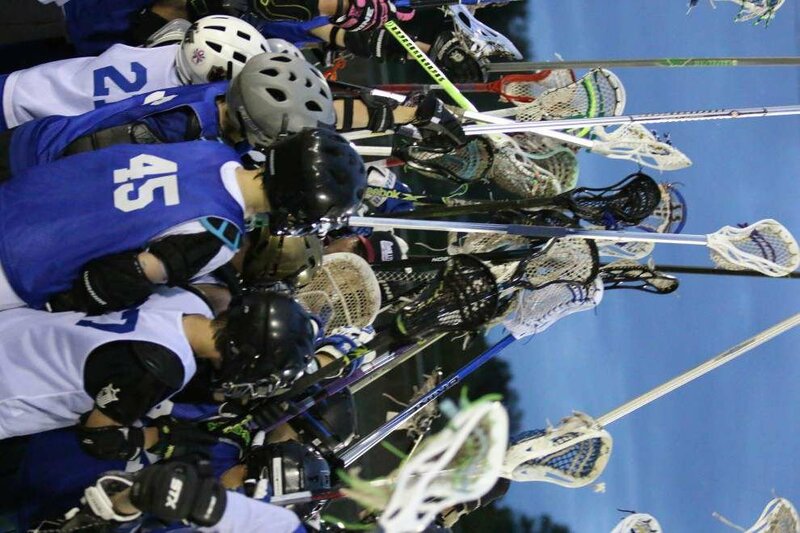 Lacrosse is the fastest-growing sport in America, and its recent growth at the Carrollton Boosters playground has brought a national award to its coach and founder, Doug Mills. That the sport has been embraced by youth is seen in the recent merger of an experienced high school team with the recreation league team. It was a late winter evening and practice was ending. Ricardo Quinonez Jr., a senior on the lacrosse team at Walter L. Cohen High School, asked his coach if he could talk to the team. Mills said he still gets goosebumps thinking about it, that moment he knew his high school lacrosse team was going to do something special this season. In January, Mills had received a call from Cohen High lacrosse coach Mike Turi. Without the previous year’s seniors, Cohen’s team was one player short. Mills jumped at the opportunity to roll the Cohen students into his high school lacrosse team at Carrollton’s rec sports program. The next day, the newly merged team arrived in Mandeville to face their opponents. But his gut feeling, inspired by Quinonez’s words the night before, was validated as the team won the faceoff and then its first goal. The team won the match 10-0. The success of lacrosse is a phenomenon Mills attributes to two dynamics in the New Orleans area. The second dynamic, Mills said, is a number of athletes looking to get away from football, boosting lacrosse’s popularity. Mills got involved in the sport after his oldest son was forced to quit football while recovering from mononucleosis. His son played lacrosse his junior and senior years, made all-state, went to the state championship and lost, but had a great experience, Mills said. So Mills did. Having never played himself, he recruited coaches who played high school or college lacrosse and focused on the fundamentals. The program started with 17 players (one of whom had experience) in brackets ranging from under-11, under-13, under-15, and high school. 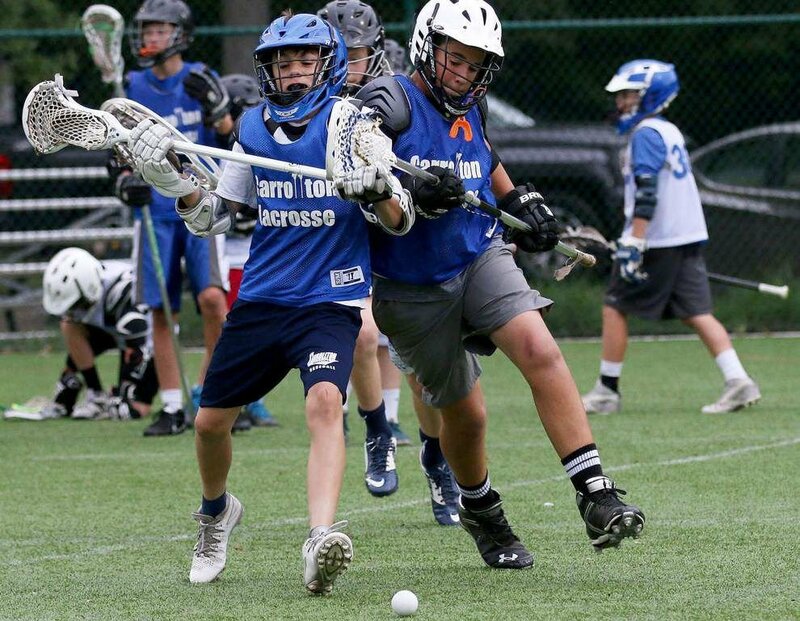 By the third year, he had more than 40 youths in the program, and the high school lacrosse team “started to get some seasoning to them” as kids with experience moved up. Last year, there were 80 boys and a girls team was added. This year, with more than 100 boys, 20 girls and 15 volunteer coaches in the overall program, Mills was honored at the U.S. Lacrosse National Convention in Baltimore with the Excellence in Growing the Game Award, given to an individual who tirelessly develops lacrosse in a geographic area. Jackie Smart, the owner of Southern Lacrosse, was one of the parents who nominated Mills for the award. She said her son’s lacrosse experience was transformed under Mills’ leadership and vision for the team. “Everyone — coaches, parents and players — was clear the goal was to learn, share excitement and to allow the boys to have fun,” Smart said. Smart’s son, Michael, is now captain of his Jesuit High School lacrosse team. This summer will mark Mills’ 22nd year involved with Carrollton. His youngest son, who started playing at Carrollton, now plays for his high school team. The point, Mills said, is that playing sports teaches kids the values of discipline, teamwork, respect and perseverance. His high school lacrosse team took that lesson one step further and developed relationships across socioeconomic lines. For more information, visit carrolltonboosters.org.